'Mycenaean' is a collective term for the peoples of Greece that shared common cultural traits during the Late Bronze Age. The name derives from the largest Greek city of this period: Mycenae. 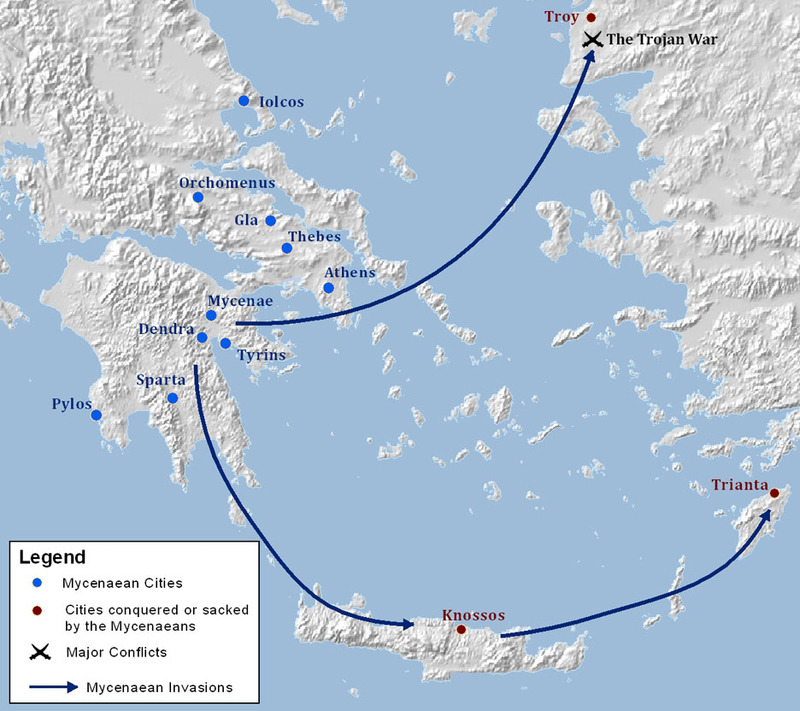 The Mycenaean period is the setting for much Classical Greek literature such as the story of the Trojan Wars by Homer. Mycenaean art was heavily influenced by the Minoans of Crete, however the Mycenaeans appear to have been much more warlike than the Minoans and eventually conquered them. The Mycenaeans were eventually conquered themselves by the Dorians during a period known as the Bronze Age Collapse.